There are a couple of reasonable places in Monaco: just bear in mind though that they’re quite small and you need to book well in advance. Some examples are Hotel de Versailles and Hôtel de France, both located next to the Place d’Armes market square and 5 minutes from the harbour: double rooms there cost between 70€ and 100€ depending on the period (much more during the Formula 1 Grand Prix). You can find cheaper places elsewhere on the Riviera, but then again, you’re staying in the heart of Monaco and there is no cumbersome public transport to travel on each day. Alternatively, you can find cheaper options in nearby Beausoleil which has several comfortable 2 star hotels within easy walking distance of the Casino of Monte Carlo or the Grimaldi Forum conference centre for business travellers. Nice can be even cheaper, depending on the accommodation: travel is easy, a bus ride on line 100 takes about one hour from the terminus close to Place Massena but only costs 1.50 € for a single ticket along one of the most beautiful stretches of coastline in the world, so well worth doing if you are not in a hurry. A train ride is much faster, at 25 minutes, and smoother but is slightly dearer, at 4.00 € one way (a return is double the price). 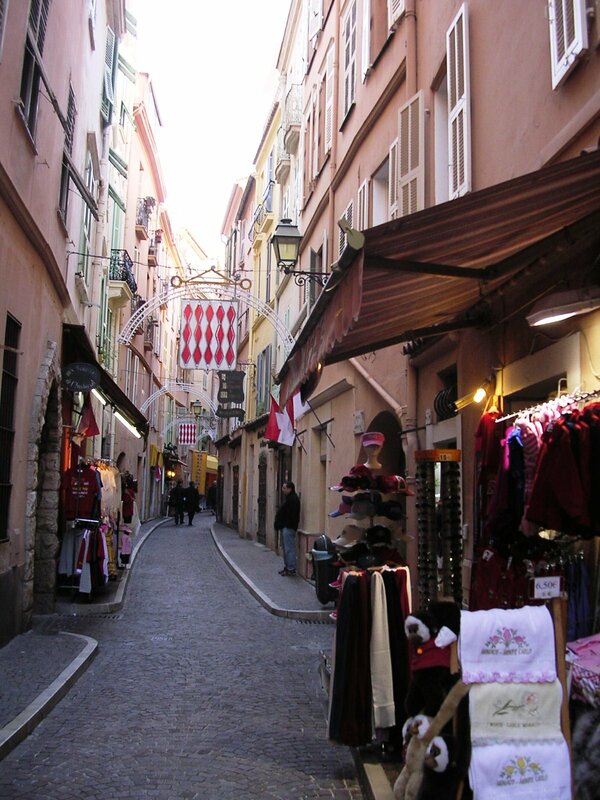 Monaco isn’t a very large place but getting around on foot can be quite tiring after a while due to the very uneven terrain and the heat in the summer. Fortunately buses are frequent and very cheap, with a very extensive network: a single ticket is just 2 € anywhere in Monaco and an even better deal is the one-day unlimited pass which costs just 5 €. 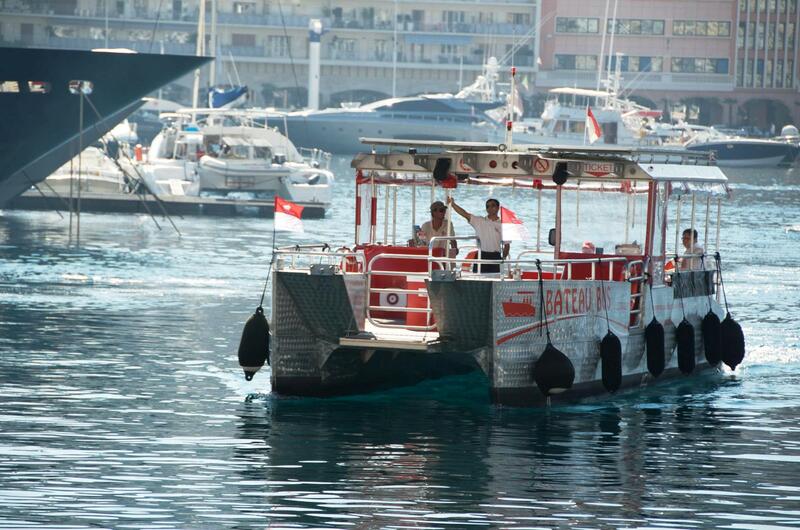 This pricing also applies to the wonderful “Bateau Bus”, an electric boat that crosses the harbour from one side to the other every 20 minutes, so is perfect to get from Monte-Carlo to the Old Town whilst taking a relaxing cruise amongst the yachts in the world-famous Monaco harbour. Can you imagine anywhere else in the world where that is possible for such a small fee? There is also an extensive night bus network within Monaco, starting at about 9pm and which costs exactly the same as during the day. By the way, don’t bother with taxis, the minimum cost for any trip within Monaco is 15 € – go outside of Monaco and it will almost double if you go outside. Just in case you were considering it, a taxi fare to Nice is around 80 € and a trip to Nice airport will set you back 100 €, more if there is traffic (the same as a helicopter ride if you’re alone), so just take a bus or a train. – Head up on foot or by bus onto the Rock (the Old Town), follow my walking tour and soak in the atmosphere and the wonderful views. It’s best to do this early in the morning or late in the afternoon to avoid the crowds but if you have no choice, do it anyway, it’s worth it…! You can always stand in the sunshine on Palace Square and watch the changing of the guard ceremony with all the crowds if you enjoy that kind of thing, every day at 11.55am sharp. All the attractions are free (public gardens, the Cathedral etc) except for the inside of the Palace (8 €, tickets can now be bought online) and the Oceanographic Museum (14 € – steep but definitely worth it, bear in mind they have a rather large aquarium and need to feed the sharks!). – Walk to the tip of the gigantic semi-floating jetty sticking out of the Rock where the cruise terminal is (only if there are no cruise ships, otherwise it’s shut) and enjoy the fabulous panoramic views. 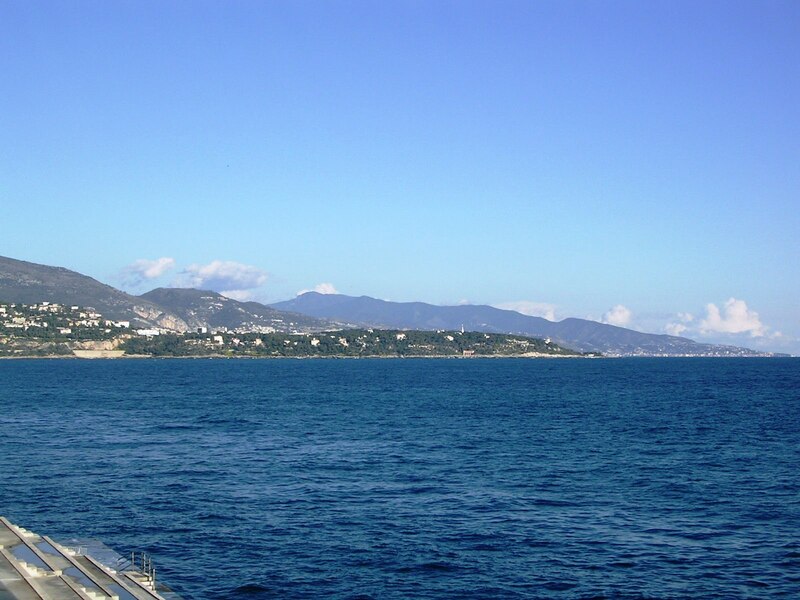 – Hop onto the Bateau Bus (full information here) towards the Monte-Carlo side using your bus pass, whilst enjoying wonderful views of the sea, the mountains and the yachts. The electric Bateau Bus, an interesting way of getting from A to B and to get wonderful views of the harbour for the price of a bus ride. 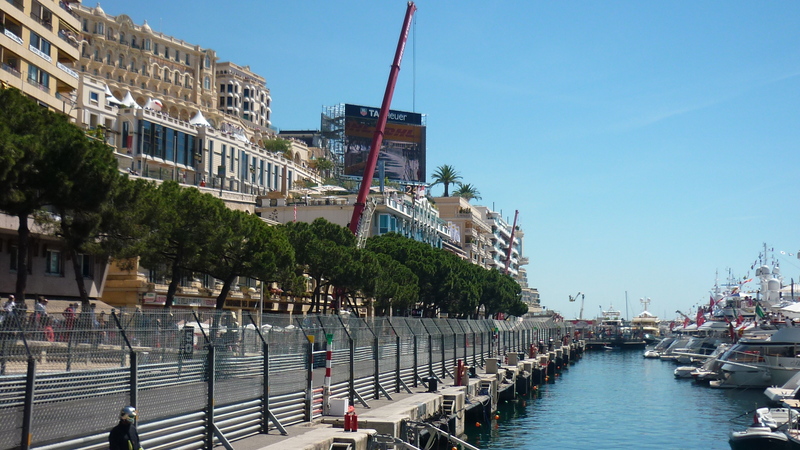 – Walk around the Formula 1 Grand Prix circuit or follow it by bus (a combination of lines 1, 2 or 6), it will take around 1 hour, excluding photo stops and is highlighted on all the tourist maps (available for free virtually anywhere in Monaco). View over the Grand Prix circuit during the actual race: you can walk down this waterfront the same evening, a few hours after the race! 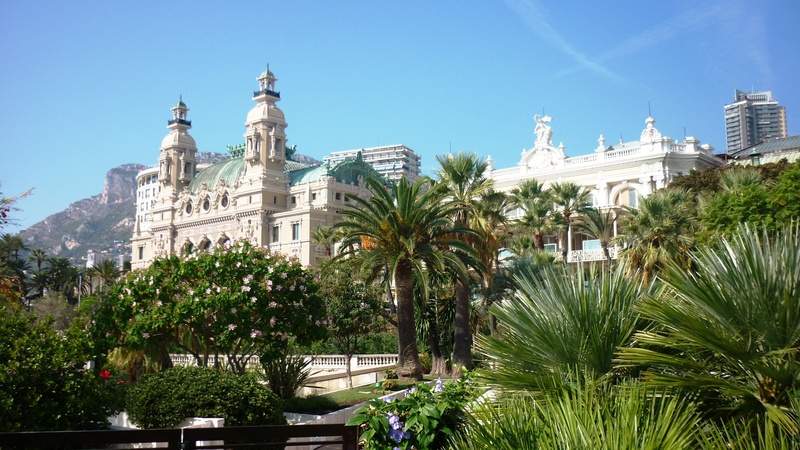 – Check out the luxury cars in front of the Casino and the Hotel de Paris on Casino square, explore the lush casino gardens and wander through the marble alleyways of the Metropole shopping centre. – Have a flutter at one of the casinos: the Café de Paris, the Sun Casino (located in the lobby of the Fairmont Hotel just below) and the slot machine section of the main Casino are free to access but there is a very long list of things that are banned at each entrance (ex. shorts, cameras, phones etc). 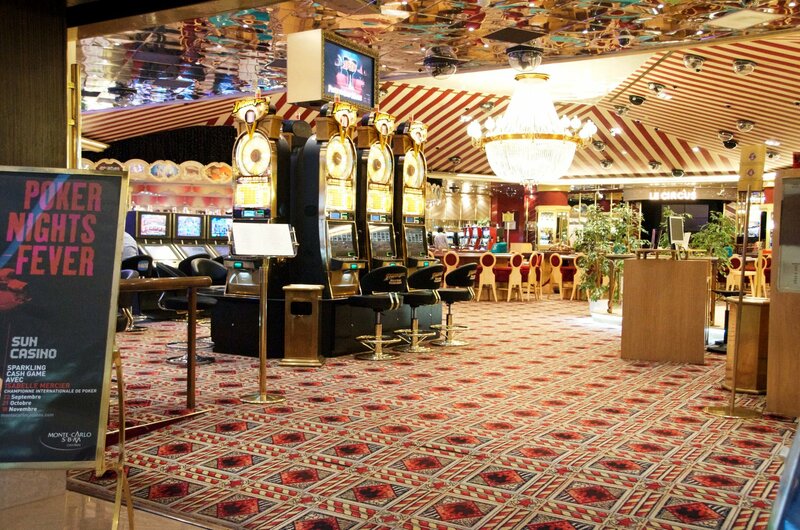 To access the much more elegant private section of the main Casino, you will need to pay around 10 €, bring your passport and dress smartly, although a tux is no longer compulsory. 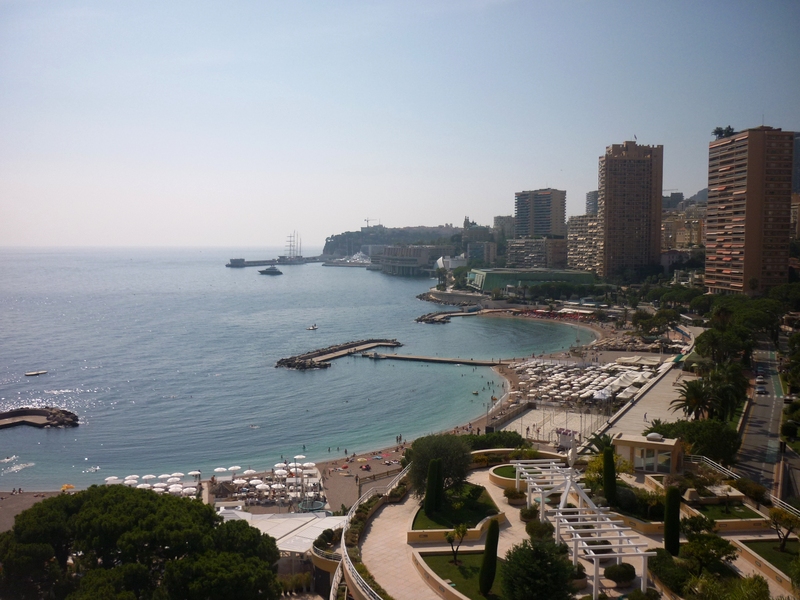 – Enjoy the great views over the whole of Monaco from the Casino terraces just behind (basically the roof garden of the Fairmont hotel) – probably my favourite view of the whole of Monaco. – Lie on the beach at Larvotto (several sections are private but there are also public sections – just find the bits with no plastic deck chairs) and have a swim in the clear blue waters, under 10 minutes’ walk from the Casino and just behind the Grimaldi Forum conference centre. There is also a rather rocky but lovely secluded beach on the side of the Rock between the cruise terminal and the Oceanographic Museum. 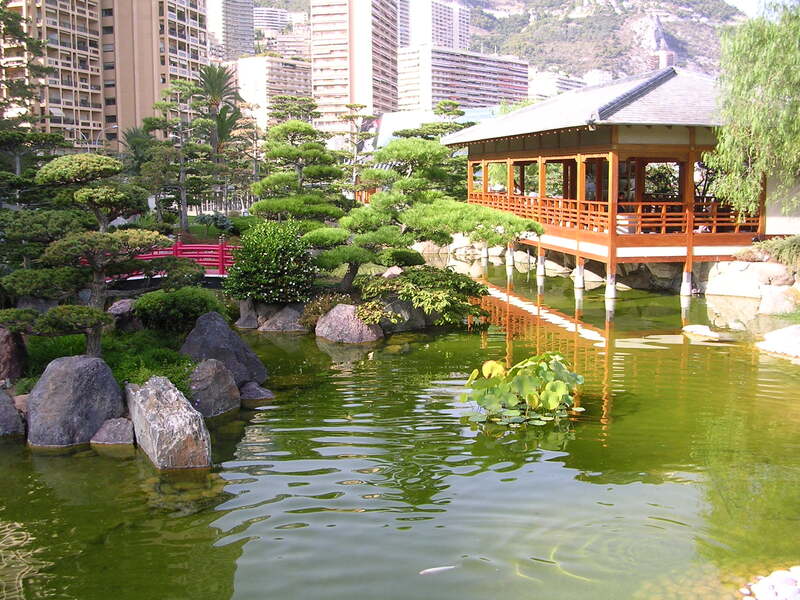 – Have a pleasant stroll through the authentic Japanese garden, located between the casino and the Grimaldi Forum. – On the opposite side of town (easily accessible by bus no. 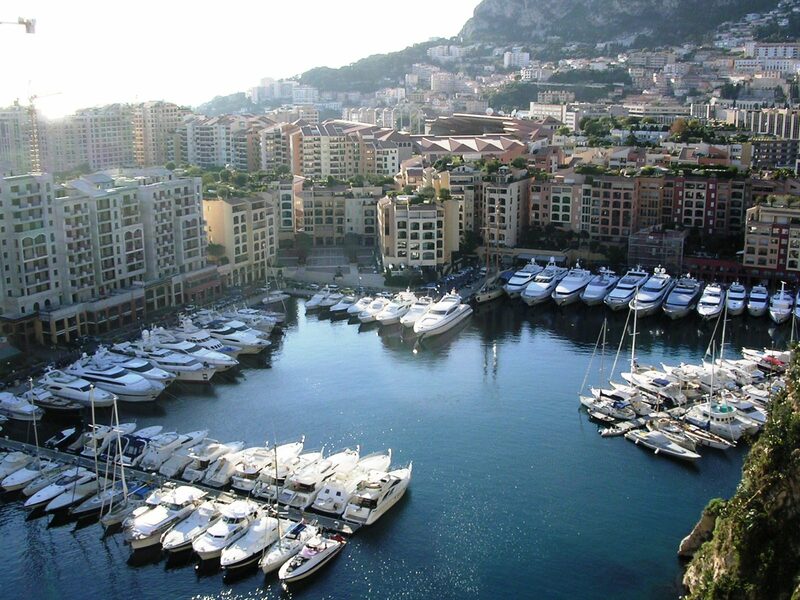 6 from anywhere central), have a wander along the second port of Monaco, that of Fontvieille, built on reclaimed land in the 1960s, which has its fair share of yachts as well as a lovely view of the Cathedral and the Oceanographic Museum. Then visit the lovely Princess Grace rose garden – just check with the tourist office beforehand if the roses are in flower or not. I think there’s more than enough free stuff to do in that list for you to have a very busy day! For lunch, I would suggest to eat something typical and good: the perfect place is around the Place d’Armes market which is where the locals eat (see my walking tour of the Old Town for a description). Go around the inside of the market and get for a portion of socca, a local chick pea pancake snack, for around 3€ in the bar called “Chez Roger”. 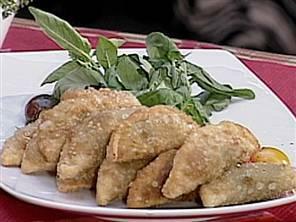 You can also taste a barbaguian, a typical Monegasque sort of fried pastry stuffed with spinach or chard, cheese and a little bit of rice, or else some stuffed vegetables. A filling snack should set you back no more than 5 or 6 €. If you are really feeling the pinch, you can head over to the Carrefour supermarket just 5 minutes away in Fontvieille and get anything you want: honestly, supermarket prices in Monaco are pretty much the same as anywhere else in France and much cheaper than for example the UK, Scandinavia or even a Monoprix in central Paris. Before dinner, after a long day’s sightseeing, you can have a pit stop at the Brasserie de Monaco, located right on the Grand Prix circuit on the harbour: they brew their own organic beer there according to Bavarian traditions (white, pils or amber ale) and you can even take tours of the place. 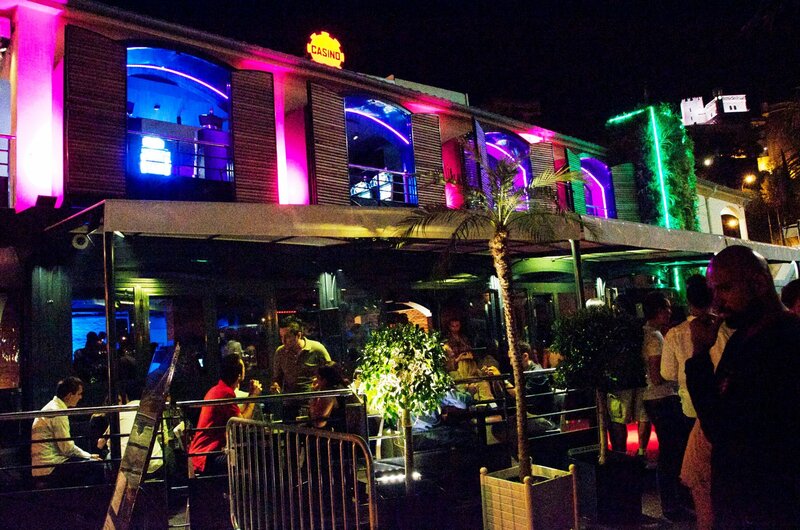 Their half-price happy hour lasts from 6.00pm until 8.00pm and a pint of beer (50 cl, ie. a French pint!) costs just 3.50 €, a real bargain for beer lovers. A glass of organic wine costs even less (3 €) and you can also get reasonably priced Monegasque snacks like pichade (a focaccia with tomatoes, olives and fried onions) or pissaladière (the same thing but without the tomatoes). You can even bring back a souvenir coaster! 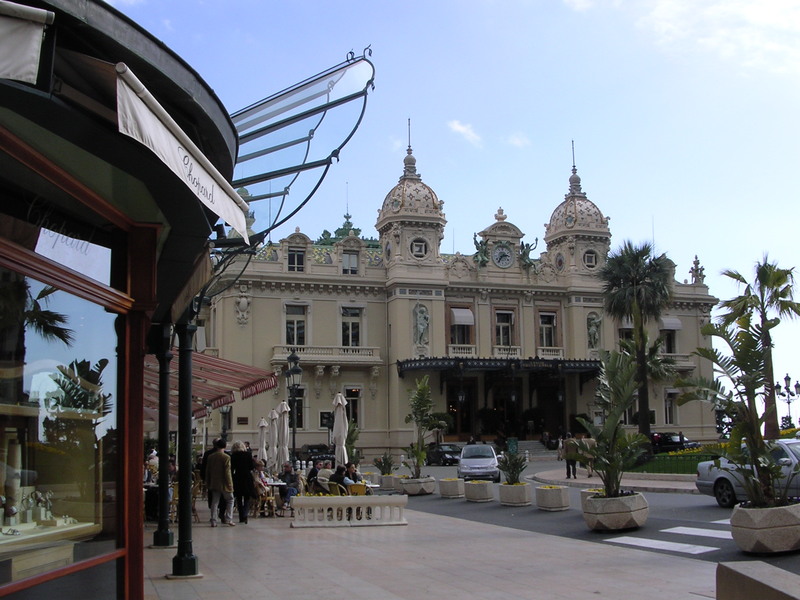 Other bars on the same strip (known as the Darse Sud) have a similar Happy Hour: the famous la Rascasse bar and casino is located right on one of the bends of the Grand Prix circuit and has half-price drinks (4 € for a glass of wine) until 8.30pm. Don’t forget that wine by the glass tends to be considerably cheaper than beer on the whole of the Riviera, but there is less of a price difference than in Italy. For a nice sit-down dinner, there are plenty of places where you can get a simple main course (top quality pizza, pasta or a dish of the day), a typical dessert (think tiramisu, panna cotta or profiteroles) and some wine for under 25€ in a nice location. 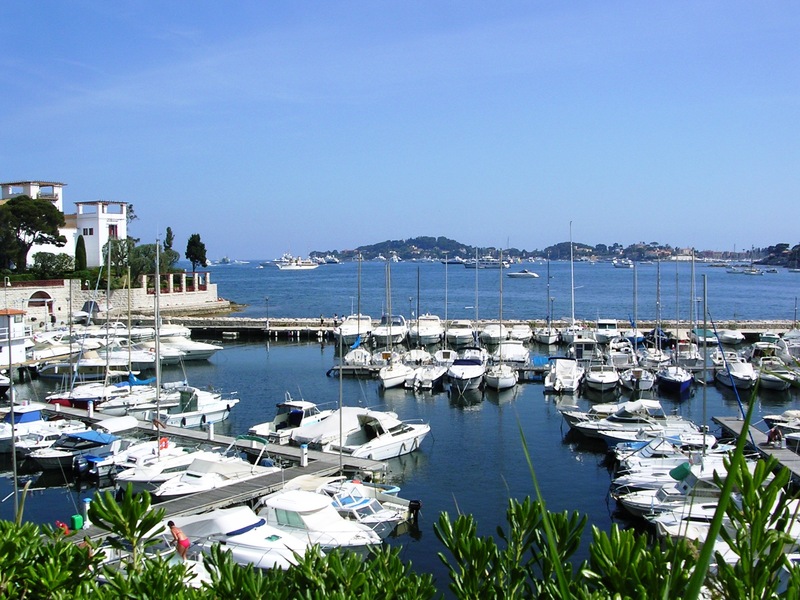 Most of the places within this budget range are located in or around the area surrounded by the harbour and rue Grimaldi, so I would suggest that you walk around and choose what you fancy according to the location and what’s on the menu. Particularly pleasant are the restaurants on the pedestrian Rue Princesse Caroline (perpendicular to the main harbour) and on Boulevard Albert 1er, the departure grid of the Grand Prix running alongside the waterfront. So none of these places will break your budget. There are also plenty of surprisingly good and even more reasonably priced places up in the Old Town, which tend to serve more local food – you can easily find a three-course menu for between 17 € and 22 €. Only go there for dinner though, as at lunchtime they are packed with tourists and you will have to slalom between the souvenir-buying crowds. But if you get dinner there, you will be rewarded by silence in the streets, a lovely atmosphere and a priceless “Monaco by night” view of the yachts in the glittering harbour below. So I hope that all this information has convinced you that Monaco is hardly a rip-off destination as long as you know where to go – don’t let the myths dissuade you, just come here and sample the place for yourselves! If you want to move to Monaco, my best friend has a real estate agency which will help you find the perfect apartment and can also assist you with all the formalities to become a resident of the Principality, to find out more, visit the Mazza Immobilier website. If you are in Monaco or anywhere along the French Riviera and you or your children need private tuition, Tavistock Tutors Monaco will be able to help. 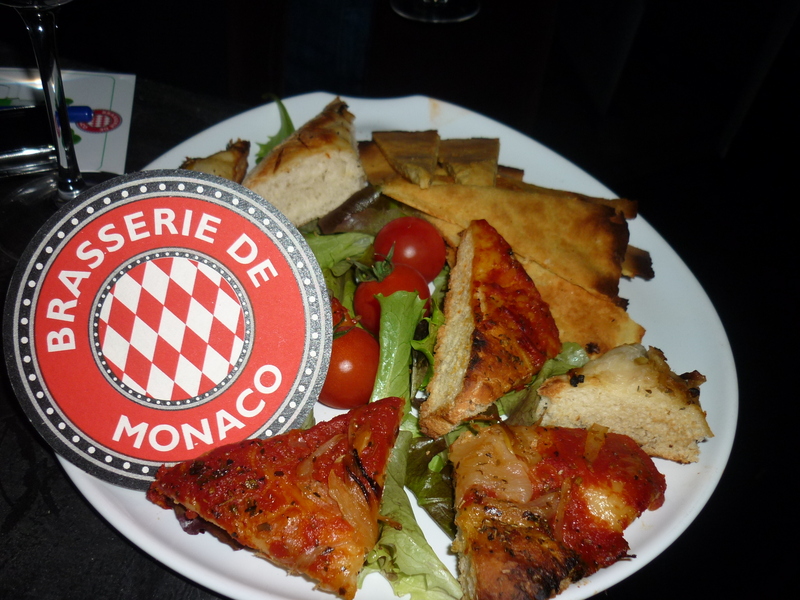 This entry was posted in The Principality of Monaco and tagged budget, cheap, french riviera, frenchrivierablog, inexpensive, Monaco, monte carlo, practical guide. Bookmark the permalink. Great article Kevin. 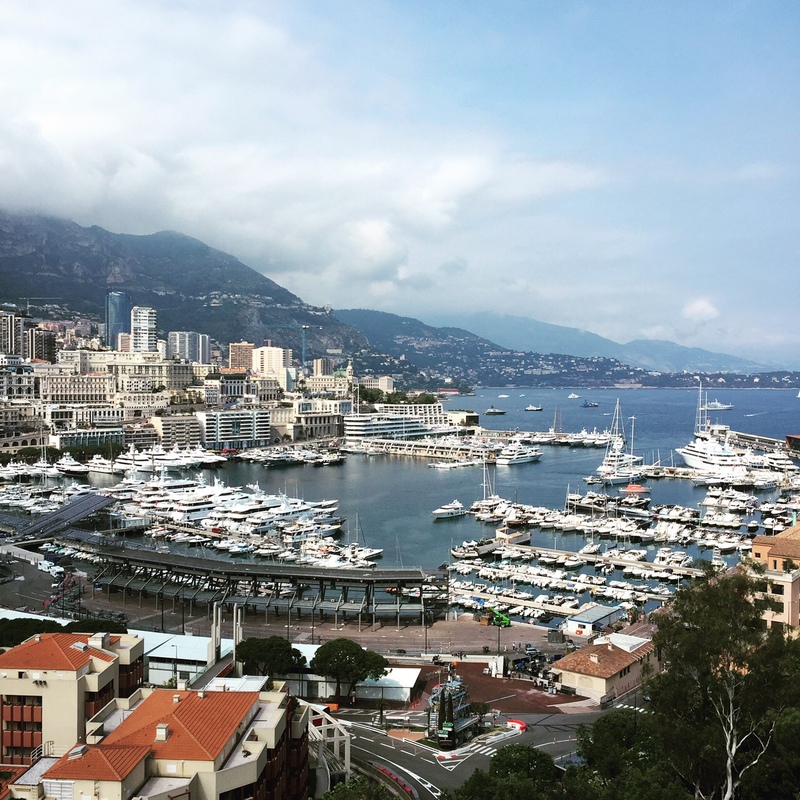 As I’m sure you know, there are lots of free events too depending on when people visit – music festival on 21st June, summer fireworks festival in July and August, and this Sunday’s Monaco Heritage Day. We try to list everything on maBoum. we want to go there from april 2014 from London how much will it cost us we already have a hotel, for other things, approx. Thanks for sharing such useful insights! It’s just great! 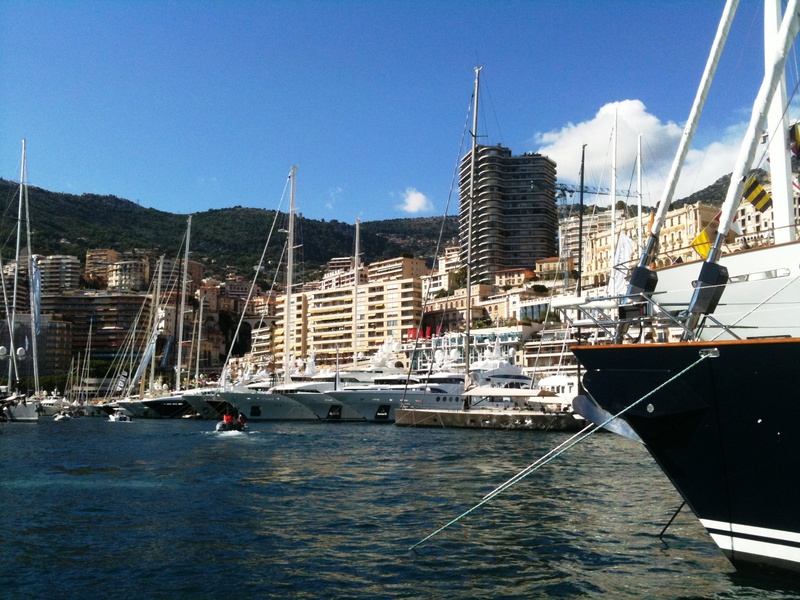 I always wanted to go back to Monaco , went there when i was a kid, but i remembered it being very expensive. Thanks for the inside , now i know that i will definitely go back there soon. Great article! Thank you, good to read your article before going into Monaco for the day. Thank you for dispelling my fears of spending a bomb in monaco especially on food and transport. Your article has been really insightful and helpful! Thank you so much for sharing :)))))) lots of love from Singapore!!! Thanks for the article, this is really helpful! We’re currently in Nice and we’re looking for places to see and go to in Monaco without breaking the bank and have taken note of most of your tips! Thanks for the great blog, Kevin. Do you know if you can get a day-pass for the bus on the bus itself? Or do you need to go to a ticket office? You’re welcome Chad! Yes, you can get them directly on the bus, the day pass now costs 5€. I visited Monaco more than once during my time in France so I also had the opportunity to try the train, which is quicker and easier in my opinion. You can check the train times on Rail Europe. Thanks for your feedback, I agree… The bus should only be used if you want a scenic drive or to save money! Nice to know that Monaco is an option for budget travelers. May I know how crowded it is in July-August? It is summer and people likes to go to the beach, especially French Riviera. But, maybe you can give actual insight. Much appreciated. Hi Chris, July and August are the most crowded months of the year in Monaco along with May, so you will need to book accommodation in advance and travelling around by train or bus might be a little hectic. However, even at the height of summer, it’s no way near as crowded as other European tourist hotspots like Venice, Florence or Barcelona at that time of year and you can still walk around relatively comfortably and the weather is warm and sunny so if this is the only time of year that you can visit, please don’t let the fear of crowds discourage you! I intend to spend the day in monaco on bastille day ( my 50th birthday) & am really looking forward to all the celebrations!…i’m considering some of the places you have highlighted. ( a great help)………what is the best route to travel from st paul de vence? Being in Monaco is also worth visiting the magnificent medieval village of Roquebrune-Cap-Martin, which once lay within the boundaries of the principality: https://frenchriviera.travel/roquebrune-cap-martin/ It is not as popular and known as Eze, so there are fewer tourists there. Greetings from Nice :). Tom.